I recently had the privilege of accompanying a team from the NHS in Morecambe Bay to Valencia on a study tour about other models of healthcare. Spain has a NHS, inspired by and designed on the British version – it is held very dear in the hearts of the Spanish people. Spain is in a far deeper economic crisis than the UK and so it is asking some tough questions about the future of the NHS there. We need to do that here too. I was challenged in my thinking and learnt absolutely loads. Here in the UK, I believe we need to do some brave experiments in order to create together a health system which continues to be free and accessible for all, excellent in its practice, and sustainable for the future. What I saw in Valencia could not simply be transported into the UK, but there is much to be inspired by. 1) We need a paradigm shift in our thinking about health. The Valencians are not shy in talking about the need to engage their community in health care. There is a huge investment of time and resource made in partnering with schools, teaching children and young people about healthy eating, how to cook and having healthy lifestyles. Health promoters in the community work in all kinds of settings from toddlers to diabetes cooking classes. They have embraced the Bechampian philosophy that if we promote health, disease will remain far away and they are therefore able to have less hospital beds and shorter hospital stays. This is in great contrast to the Anglo-American view ala Pasteur, that we can live how we want, but immunise ourselves to the max and kill off disease when it comes. The Valencians are also further ahead in their thinking about where people should be cared for. Their home care teams and investment in community nursing enables people to be cared for at home more efficiently. 3) Breaking free of centralised power structures. The Valencian system has a unique funding model, which allows them to be free of centralised government. There is still a good system of accountability in place, but a single payment per patient, adjusted according to levels of deprivation and a few other factors allows greater flexibility in care. Interestingly, this model costs less to the government than other models in Spain and is still managing to run at a 26% saving! 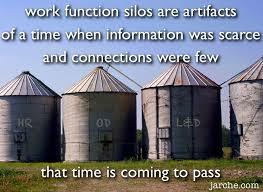 It would be made far more complicated if the silos were still in place. 4) Using smarter IT. They have a completed integrated IT system across the health sector. So, for example, if I want to refer a patent with complicated renal failure to a nephrologist, I would include this in my consultation and link the consultants name to my consultation via an email. The consultant would then be able to access my notes and email, decide what further tests are necessary, sort them out, see the patient and then any notes she makes and changes to medication would automatically appear in my medical notes also! 5) Investing in diagnostics. For a population of around 300k, they had 17 consultant radiologists! They believe patients want early diagnosis so that clinic appointments can then be arranged according to clinical need. GPs also have far greater access to scans, which cuts down on waiting times hugely and because there is far greater relational team working, a GP can email the radiologist to ask for a certain scan, they have a discussion, work out if a different type of imaging might be better and sort it out for the patient. We have similar possibilities here, but they are far more clunky and more time-consuming. 6) Better team working. There is a lovely relationship between the hospitals and the community settings. Consultants come out into the community to do clinics in a way that really works, they discuss complex cases with the GPs and talk through management options. 7) Smarter training. Nurses are trained to be able to work across the board in the community and so develop skills needed for practice nursing, district nursing, long-term condition, health visiting, etc. This enables far greater flexibility within the workforce and higher levels of job satisfaction. Also because it is all one system, clinicians can work inside and outside the hospital setting and medical students are trained to be more flexible in how and where they work. 8) Investing in community health care. Valencians do General Practice differently to us….Within this model, there are no privately owned partnerships. Rather, GPs are employees, just as with hospital doctors. This means less HR and management responsibility and perhaps less risk. Within that, they all maintain personal patient lists to keep a real sense of continuity, but work a different pattern. The day starts early and they do clinics from 7am – 3pm – all pre booked appointments. (the last 2 hours of this is for administration, so the clinics finish just after 1230h). Then at 3pm the walk-in emergency centres (in the same building) open – staffed by the GPs from the practice. Each GP does one or two 3pm – 8am shifts a month with appropriate rest built-in. The facilities are amazing with imaging on site. It’s actually not too dissimilar from the arrangement we have now with out of hours care, but is a bit more streamlined. 9) Harnessing technology. In Valencia, all patients have an app they can access, which tells them the waiting time in the A&E or in the local GP centre. Unsurprisingly this has meant less people turn up at A&E and are dealt with in the community more rapidly and appropriately. 10) Grasping the economic nettle. 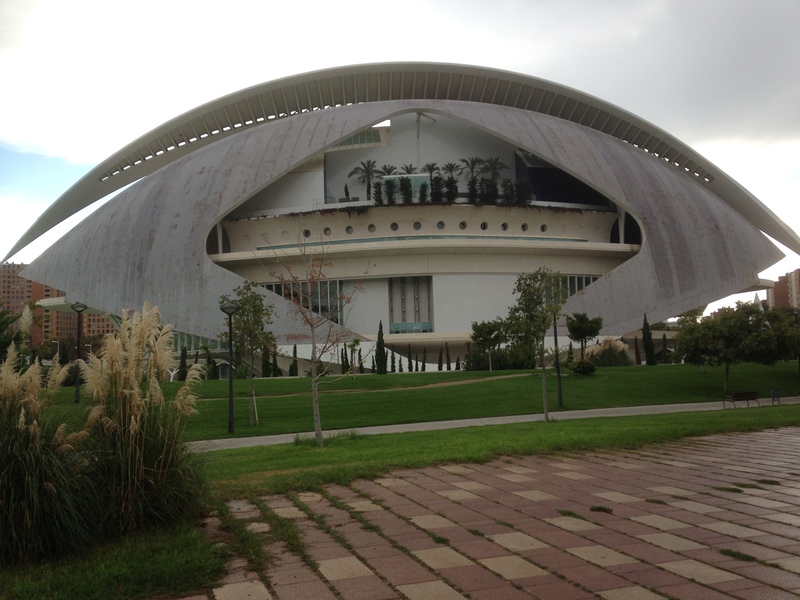 I went to Valencia, highly suspicious, as the model is built on a PPP (private-public partnership). A private company owns and manages this system, but is completely funded by the government. My personal politics is far to the left and so I found the notion of this nauseating to say the least. However, I was challenged in my thinking by the CEO who talks about his company being private, but with a public heart. 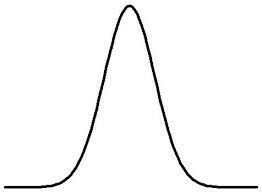 Profits are strictly limited to 7.5% and everything else is invested back into the system. They are running on a lower budget, with less cost, higher patient satisfaction and higher staff morale than anywhere else in the region…..these are hard statistics to argue with. However, I don’t believe a PPP is necessary in order to achieve much of what they have done as there are significant risks involved with the private sector and it is an ideological objective I struggle with. Personally I would argue for a completely different type of economics altogether, but my voice is just one in an important conversation that needs to happen. One thing that I continually challenge myself on though is that business does not equal evil and state does not equal good…..this is why for me, regional government and participatory economics is of huge importance as we move forward. With the huge numbers of people who attend conversations about health in the South Lakes and North Lancs areas, I am confident that such things are possible. However, with tools like ‘the art of hosting’, they could be much more fruitful. PPPs are not the only alternative solution to what we have now. I personally love the idea of health cooperatives. Regional funding with supplemented taxation is another possibility. The truth is, we have to find new ways of working that are sustainable for the future, excellent for our patients and staff, and free for all to use. I hope we can learn the lessons from Scotland and learn to engage with the issues that matter. It is time for a new politics and there is no place better to start than with the NHS. The NHS at Breaking Point? I am not pulling any punches in this blog and it is probably going to sound negative until you reach the end! 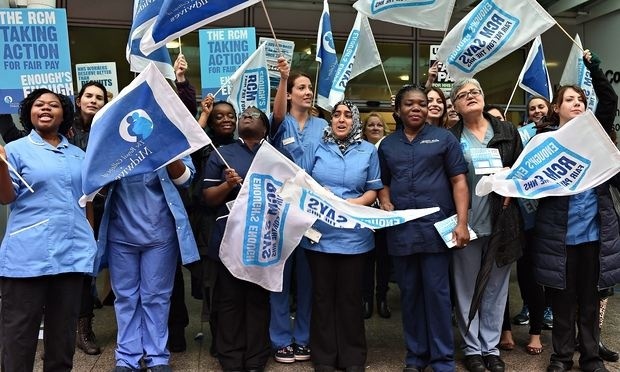 This week we have seen staff in the NHS striking over pay and working conditions. For those in the caring professions, it is a huge thing to strike and I know many colleagues who did some serious soul-searching before they took this action. There is a difficult truth for us to face as a nation in the UK (and especially England). What many consider to be the nation’s greatest treasure is on its knees. Although the NHS has been in huge profit in the last few years, this money has not been reinvested into healthcare. Our democratic processes are null and void and the vox populi has been silenced. (photo taken from the Guardian -Andy Rain). 1) Centralised government and other power structures making target-driven policies which commodify human life into biopower and in so doing, dehumanise people. Westminster deciding on how a health budget should be spent across Morecambe Bay is nonsensical. Local people need to be far more involved through a process of regional assemblies and participatory economics. Morecambe Bay does not have the same health needs as London and having Westminster-centric targets is not working. 2) Paucity of funding. The overly expensive reordering of the NHS has not saved any money, and a system which was naturally creating surplus did not have that money reinvested. With our increasing health needs, we will soon have a £30billion shortfall….However, we also spend less on health overall than most European nations and could absolutely choose to invest more in health, if we didn’t keep going to wars which in the long run are not going to bring the peace we long for. 3) Burnt out staff – in my opinion, the strike was not so much about a lack of pay, but more about a lack of honouring, recognition, thanks and protection for staff who pour themselves out lovingly on a non-stop basis, usually without a break, for 13 hour shifts and are then expected to do overtime and asked to claim that time back in annual leave, but then never actually being given that leave! The system has been abusing its workers and the workers are no longer able to stand up under the weight of the pressure. Ongoing low morale and a sense of increasing burdens is unsustainable. 4) Early retirements – in my opinion, changing the pensions was unavoidable. However, it has led to a mass exodus of people from the NHS at the age of 55, and over the next 3 years we are going to lose an enormous percentage of our GPs nationally as a result. This has been ill-thought through by the government and has left us with a massive staffing crisis. 5) Lack of investment in training – putting it simply, we’re not training enough doctors and nurses for the future. The government know this, but were hoping to get cheaper labour from elsewhere. 6) Better offers overseas – for young doctors qualifying in the UK, 25% are leaving after their second year in practice due to the pressures involved and many are heading overseas to warmer climates and better pay packages. I could earn more than double what I earn now in Australia or Canada, for many less hours worked and a higher quality of life. Now, for me those aren’t driving factors, but I can understand why for some the move abroad is evermore attractive. 7) High patient demand – the amount of problems people now run to their GP or A&E department with is becoming ridiculous. We have embraced a learnt sense of helplessness and disempowerment, ever worsened by media-driven health anxieties. 8) An elderly population – due to the breakthroughs which have happened in health care, we are living for longer. But with increasing age comes increasing frailty, increasing health problems, increasing medications with their subsequent interactions and increasing social care needs. It is wonderful that people live long, but it adds to the picture of a health service under strain. 10) Competition between primary and secondary care – the NHS is funded in a totally bizarre way. Competing for funding rather than having a system in place which enables partnership and integration makes no sense at all. 11) Too many silos – following on from the point above, we have too many different organisations within the NHS which work in silos, resulting in systems which communicate poorly with one another and a pathetic IT system which does not talk across these organisations in any meaningful way. This segregation puts a huge strain on services and so often stops us doing the very thing we hope to do. Having a CCG, an acute trust, a mental health trust, community nursing, a hospice, nursing homes, social care and public health -now under the care of local government all working separately and competing for resources is nonsense. 12) Increasing mental health needs – let’s make no mistake about it, mental health needs are increasing and very poorly cared for currently. We have increasing anxiety and depression (worsened by the austerity measures) with waiting lists of services like CBT at ridiculous levels. We have more patients developing dementia and needing extra care. 13) Crippling debt, due to the idiocy of using PFI’s in hospitals, meaning that most acute/foundation trusts are in a continual financial nightmare. We must break down the facades that keep on pretending everything is ok and that we can sustain things just as they are. Is there any hope? Oh yes! There is plenty of it and not without good reason. But we are going to have to break ourselves out of apathy and out of the hypnotisation of our lives in which we get up go to work, come back, switch on the telly and don’t engage with the issues of our day. We are also going to have to be brave enough to accept the fact that we are post-nhs as we have known it and embrace together some holy experiments. We need to find new partnerships and integrated interdependence based on the wonderful foundations of free healthcare for everyone, protecting the needs of the most vulnerable remembering above all that healthcare is a service not a business. More on this anon!